Teenager Perrine Laffont produced a brilliant final run to win the women's moguls and France's first medal of the 2018 Winter Olympics. The 19-year-old scored 78.65 to edge out defending champion Justine Dufour-Lapointe of Canada and become the first Frenchwoman to win the title. Dufour-Lapointe was awarded 78.56 by the judges with Kazakhstan's Yulia Galysheva taking bronze with 77.40. Australia's world champion Britteny Cox finished fifth with 75.08. 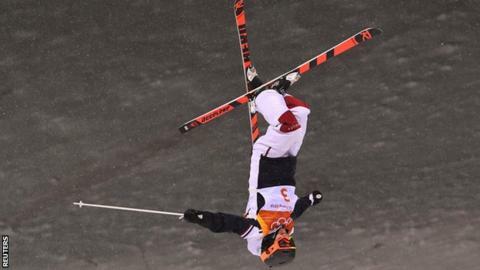 Cox posted the fastest time of the final run with 28.29 seconds, but the time makes up only 20% of the judges' mark, with the air jumps counting for 20% and 60% for the turns. Canada's Andi Naude had the best score of the final six before the last run, but she lost control during her final run.